PE Shrink Film (Multi Pack Film & Stretch Film)(PE Shrink Film) - Chau-Fu Plastics Co., Ltd. 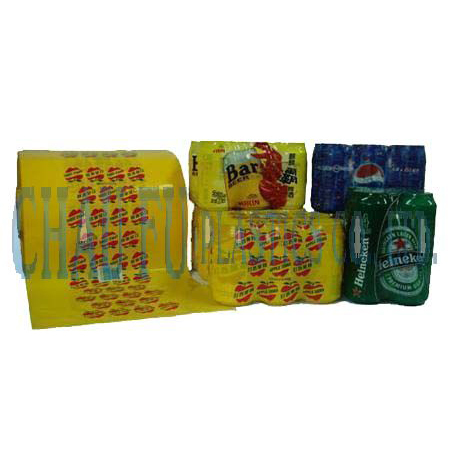 The features of the Multi-Pack Shrink Label are durable, waterproof, dust-free and low temperature resistance. This kind of packaging is the best choice for selling in warehouse supermarket. What’s more, it reduces the cost during packaging and delivery. Another character is that it wraps plenty of products tightly at one time. The surface of film can also print your brand, logo or any information about products. Using the shrink film is environment-friendly, increase product's efficiency. It is also excellent for products with gift attached or two for one pack. It's not only bland and non-toxic, also the popular packaging material in market.